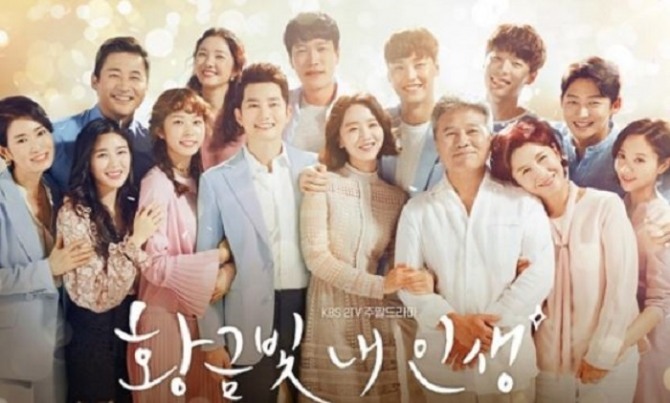 TV drama series “My Golden Life” topped viewer ratings, exceeding the 40 percent mark, Nielsen Korea announced Monday. According to Nielsen Korea’s TV Audience Measurement division, KBS2’s Sunday episode of “My Golden Life” recorded a viewer rating milestone of 41.2 percent. Previous week’s episode had viewer ratings of 35.6 percent, 5.6 percent lower than this week‘s ratings. The highest rating for “My Golden Life” was recorded to be 39.0 percent on Nov. 26. Sunday’s broadcast showcased Park Si-hoo and Shin Hye-sun’s sweet chemistry. In particular, Park, who takes on the role of Choi Do-kyung, raised fans’ anticipation for next week‘s episode by sacrificing his chaebol life for love. “My Golden Life” airs at 7:55 p.m. every Saturday and Sunday.